I have this weird thing that I love. It’s something that a few book lovers may not appreciate. But to me it means so much more than what others see. I love a book with broken spine. I love the books that are tattered and torn, but not from the weather. You can tell a difference. I’m talking about those books that have been so loved that the wear and tear is caused by being taken everywhere. Those books that have been through one place to the next, like a child’s favorite blanket or toy. The spine is broken, the edges of the cover are soft and worn down, and some of the pages are even creased from being folded down. Now, I am not the one to fold down a page. I can’t stand to fold a page, and I also can not stand writing in a book. But when the book has other things going on, like the broken spine and the worn down edges, folded pages and underlined phrases are acceptable. Why? These are the books that were loved so much that someone couldn’t let go. Someone found a book that helped them through some hard time and they held on so tightly that they started to strangle the life out of the book. I always imagine what person could have held the book and what they were going through. I, for some reason, always think of a teenage girl. She is still growing into the beautiful woman she is going to be one day, but at that point she isn’t pretty. At least that’s what she thinks of her self, and she is reminded everyday by the cute, popular girls at school who pick on her. She rides a bus to school and home everyday. Even her home life is not that great. Her parents fight all the time, sometimes they end up throwing things at one another. And to top it all off, her brother who is a year older picks on her at home. He is one of the popular kids and his friends are the ones that pick on her the most at school. To escape this world that has been so cruel to this teenage girl, she reads books. For some reason, this one book speaks to her more than any others. No matter how many times she had read the book, she always finds herself lost in it’s pages. In this book she becomes the hero of the story, or maybe she is the damsel in distress that the hero saves. Either way, it’s better than her life. This teenage girl reads this book over and over again. She reads at lunch, while she sits alone at a table. She reads on the bus, while she sits alone in a seat because no one wants to sit beside her. She reads in her room, to drown out her parents fighting and to avoid her brothers torture. Before long she knows every word. Then, something amazing happens. She looks up to find that life isn’t so bad anymore. She is in college, away from her brother and her parents. She has finally gotten rid of the bad acne and the braces. She has become the beautiful woman she was becoming in high school. 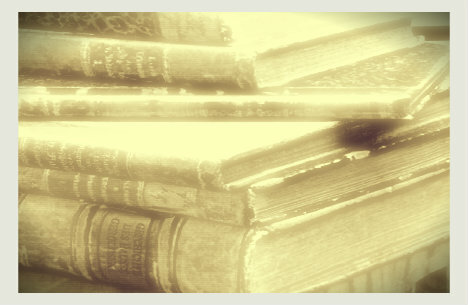 She finally has wonderful friends, and her old friend, the book that saved her, sits collecting dust on a shelf. It’s never too far away because she still can’t let go. One day, she pulls the book down and begins to read it once again. She sees the book for the beautiful story that it was. It was her hero that helped her escape, but she no longer needs it. It has served it’s purpose. She decides to take the book to a used book store and hope that another young girl finds it helpful like her. Maybe I put too much thought into a well loved book in a book store. Or maybe I am seeing the stories that others refuse to accept. A broken spine of a book doesn’t mean it was abused. It doesn’t mean that some kid just tossed it around without a care. Sure, it could mean that, but maybe it was the hero of the story. Dreams…What Does it All Mean? Beautiful post. Thank you for sharing your thoughts. A wonderful story and sentiment. I’ve often felt the same way about things like furniture or musical instruments or clothing. Heh heh. I actually like them for the ghosts.